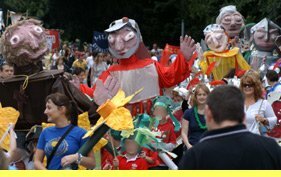 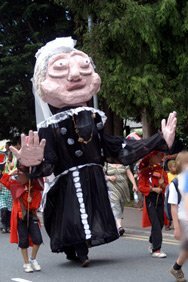 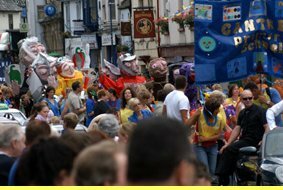 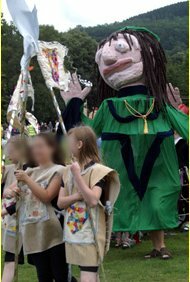 On Saturday July 14th 2007, Cantref Primary School entered the giants they had made with Ballyhoo Arts into the Abergavenny Carnival, with great success. 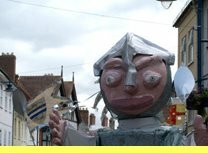 The town was WOWED by the impact of 10 giants processing through its streets. 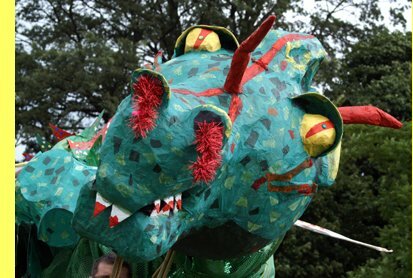 The whole school took part. 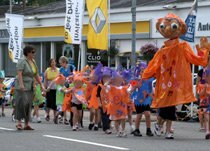 The children made and wore costumes, with help from the school Parents Association.